Thank you for joining me as we count down to the MFT release. We are just one day away from the big day! 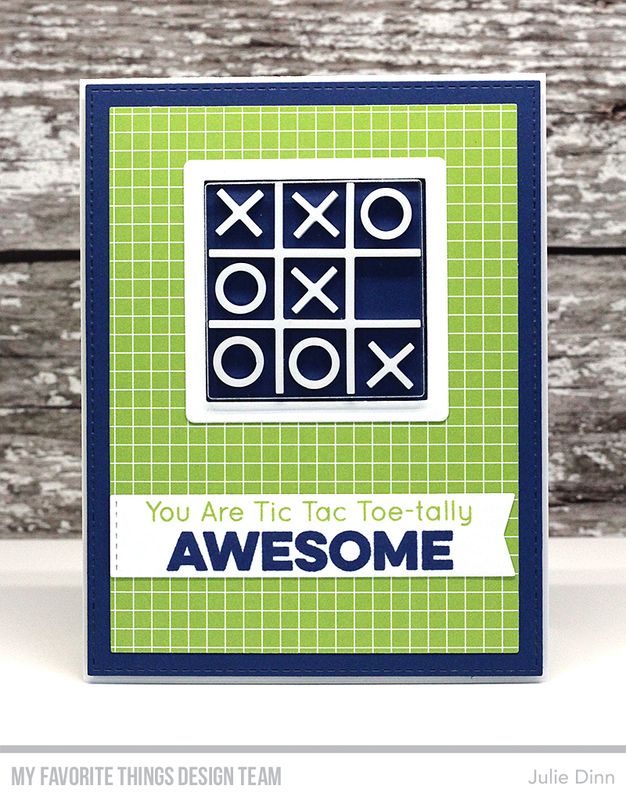 All the new Stamps, Die-namics, and Stencils will be available on Tuesday, October 3 at 9:00 pm EST. Be sure to check out the MFT Blog to see all the new items being revealed today. Don't forget to leave a comment on the MFT Blog countdown posts, YOU could win one of the five $75.00 gift vouchers. For my second card, I decided to make a card using the Tic Tac Toe Die-namics and the Square Shaker Window & Frame Die-namics. I used Blu Raspberry and Orange Zest card stock and ink, I seriously love this color combination. 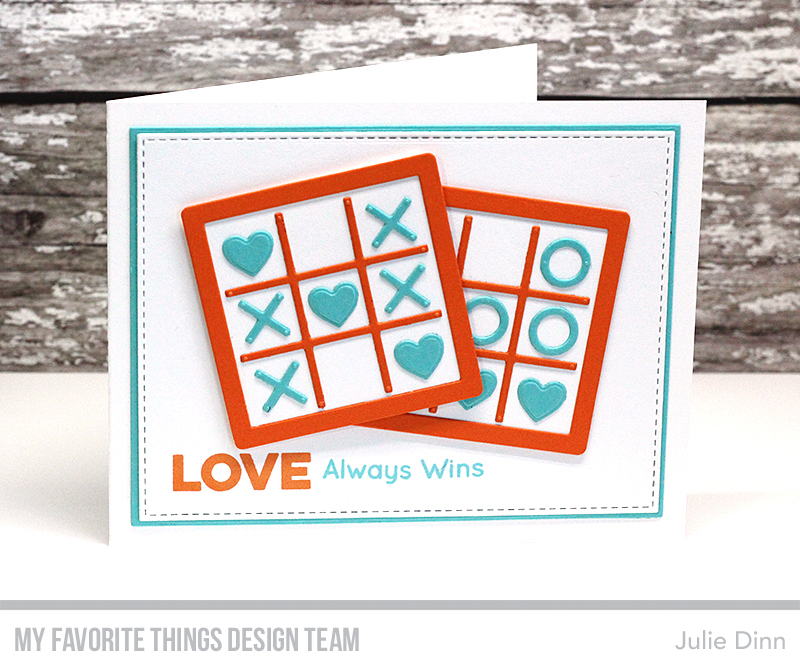 Very playful and nice cards!Thank you for the inspiration! Both of these cards are soooo cute. Great Job Girl! Two grand cards the first card has a wonderful green paper that reinforces the tic tac toe on it! These are two very nice cards. I love the color combos. Fun, Fun, Fun cards. They're colorful and cute. Thanks so much for sharing.